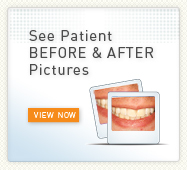 At Salt Lake Smile Design we give you the smile you’ve always wanted, and the results are truly transformational. Nothing is more gratifying to us than seeing a patient walk out of our office beaming with renewed self-confidence. Our approach to cosmetic dentistry and Smile Design is unparalleled. 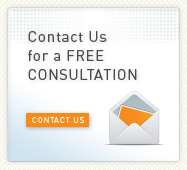 That’s because we involve you throughout every step of the cosmetic dental procedure you elect. This individualistic approach ensures your complete satisfaction. We won’t stop working until you’re thrilled with the results. We work with some of the best dental ceramists in the industry who are as involved in our cosmetic dental procedures as Dr. Barnhisel himself, spending hours perfecting teeth to achieve an ideal smile. His technical skill coupled with a deep artistic sensibility allow Dr. Barnhisel to perfect the shape of a tooth, its color and placement among your natural teeth. He has a deep understanding of light, shadow, form, symmetry and the laws of nature that influence aesthetics. This combination of art and science yields beautiful, natural looking results. Whether you’re looking to create or restore a beautiful smile, Salt Lake Smile Design will recommend, design and deliver the cosmetic dental service that’s right for you.